i've given a lot of thought to this month's theme of style. 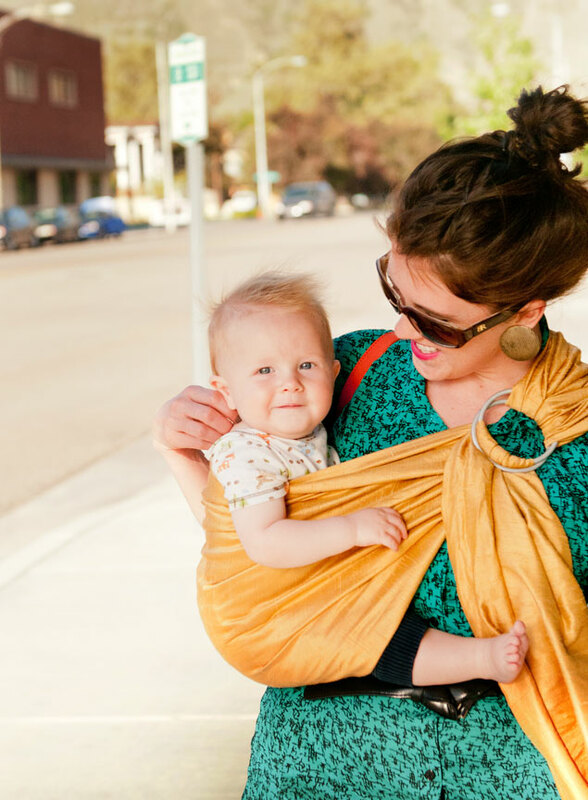 this whole sling diaries project is really a peek into 13 different families lives and how they incorporate baby wearing into their daily activities. 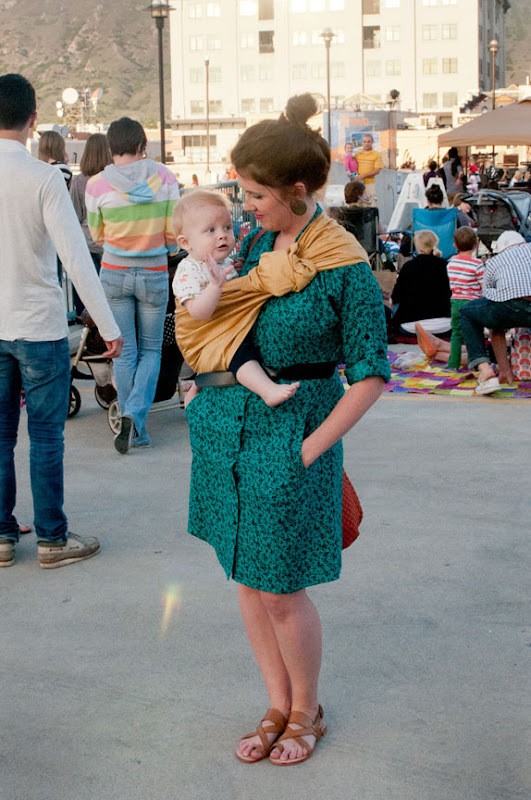 wearing ones baby in a sling is a style all on its own. because of this, i could've easily taken one set of pictures and called it good. but i felt like there was more to say than just showing one glimpse into my world. 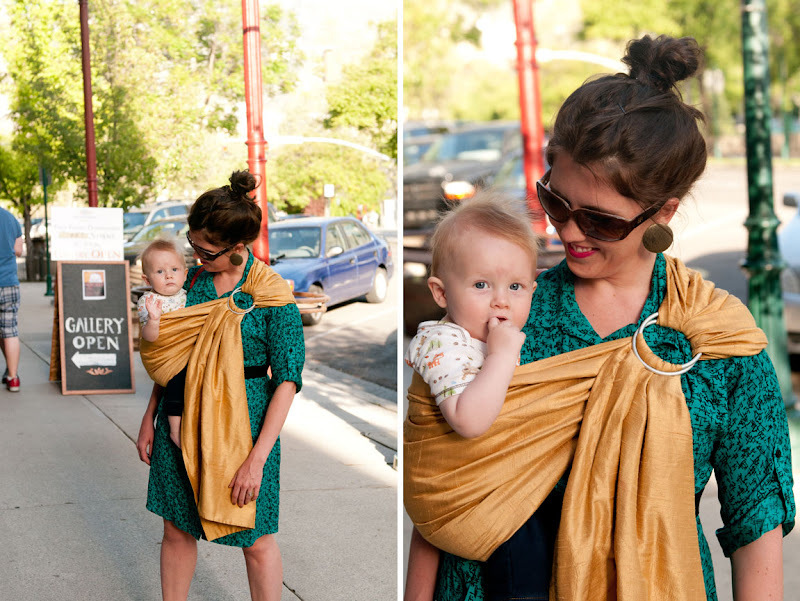 whenever i venture out of the house wearing my baby i am asked, no matter where i am, what kind of sling i'm wearing. do i like it? how comfortable is it? 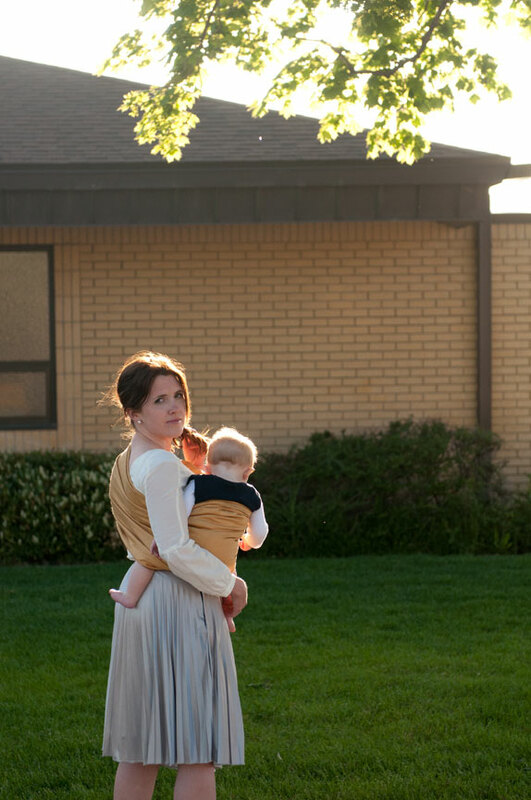 etc... my baby in my sling is the best accessory ever. he draws the most attention, and rightfully so--haven't you seen his smile? it always melts my heart. speaking of hearts, next to mine is where i like to keep him. 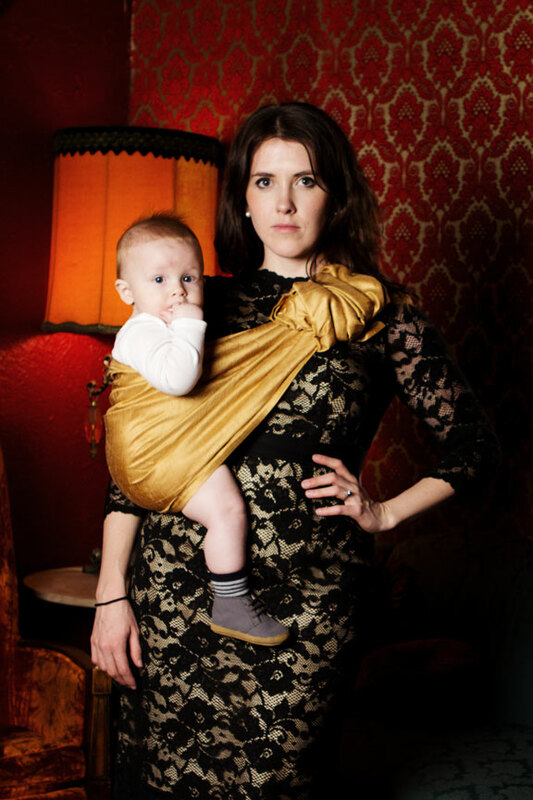 and so the style of wearing my baby really works for me. i love it and he loves it. honestly, it happens around here on a daily basis. style can be so varied. 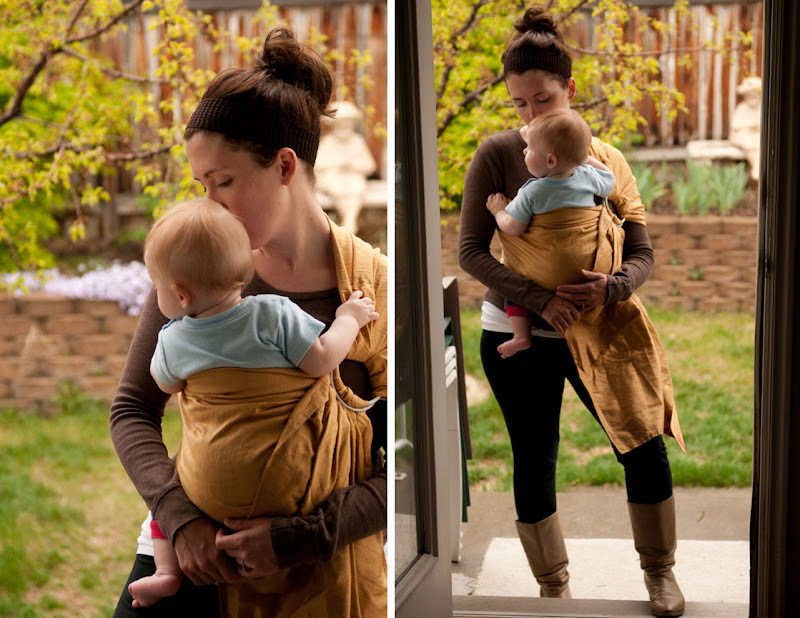 i really wanted to show, through these photos, how versatile my sakura bloom sling can be- and how, no matter the occasion or the event or reason- that my sling comes through for me, never disappointing. 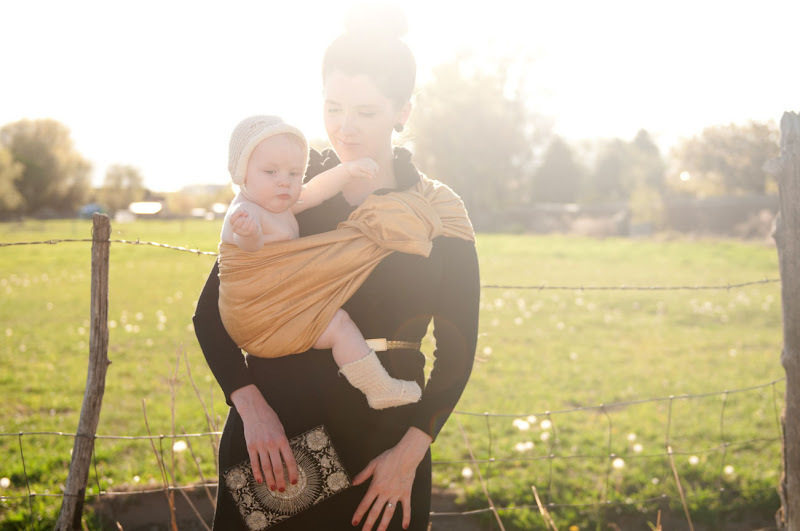 in all of the photos i am wearing the simple silk in amber. i could not have done this particular post without the collaboration and help of a few super stylish individuals. you'll see links and appropriate credits given with each separate look. the shoot, selection of clothing, hair and makeup was styled by megan beckham. jeans: h&m, belt: soel boutique, shoes: chinese laundry. thanks also to megan for taking the photos! the shoot, selection of clothing, hair and makeup was styled by megan beckham. emerson is wearing a vintage crocheted baby hat and booties. photos taken by megan beckham. during this past month, my poor little guy got his first ever ear-infection. it was so sad and he was so uncomfortable. this made him an even extra clingy-baby. he just wanted to be held so close. the day that these pictures were taken was a very busy mom kind of day, filled with doctor appointments, errands, various things on to-do lists (like going to uvu to help write the final exam for my intro to photography course!). it was a busy busy day and i didn't even have a free second to think about showering. 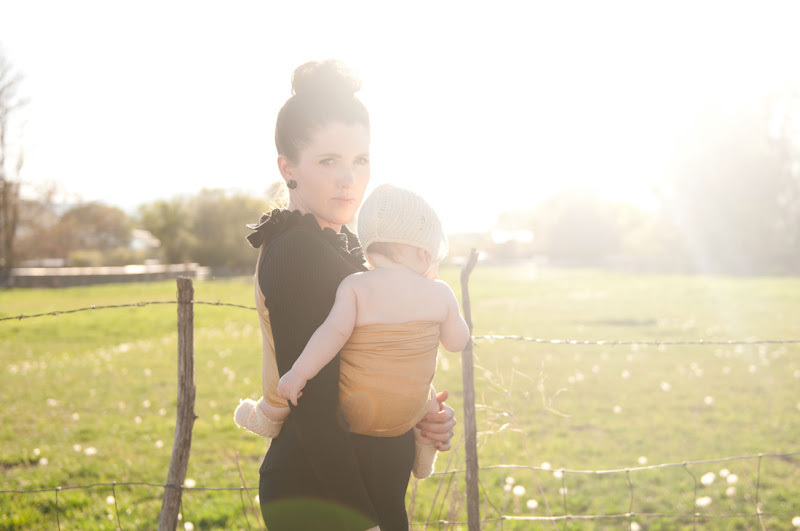 so here i am, in all the wonderful glory of being a mom: hair up, no make up, black leggings and my baby. yes... i went out in public looking like this. awesome huh? 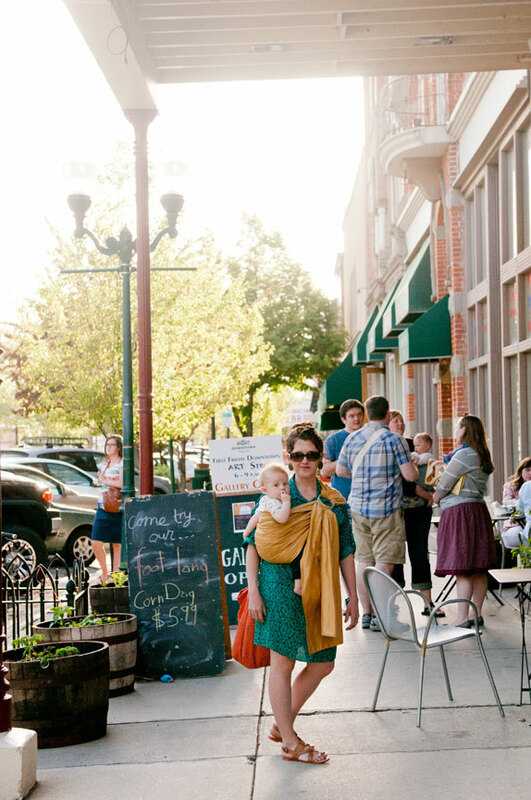 if you've ever been in provo, utah... you know that we've got quite the music scene here. (if you haven't you're probably thinking, REALLY? yes-really! example: the neon trees hail from provo.) at any rate... the following photos were shot on-location at one of the best musical venues in all of utah- velour live music gallery. and when you see the photos, you'll know why i chose this particular location. 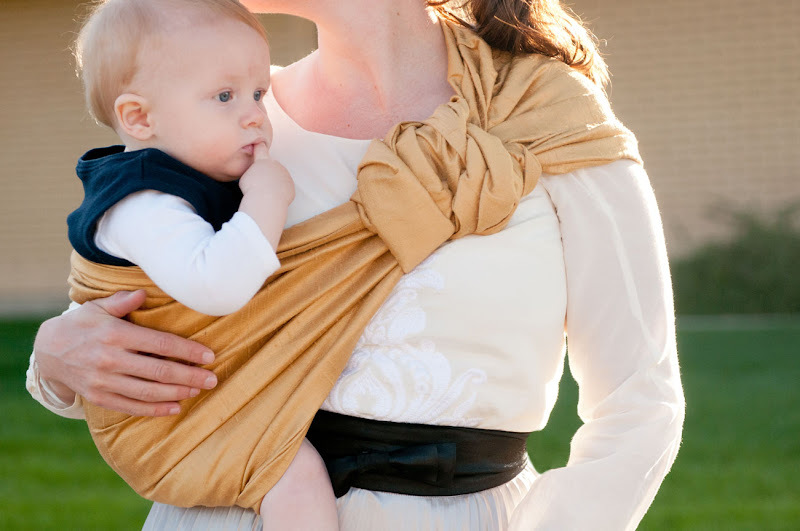 the coolest thing about this sling is that it's classy enough to wear out for a night on the town. the dress i'm wearing is from victoria's secret. the night these photos were taken, the following bands were playing at velour: timmy the teeth, john heart jackie, tyler lyle, & mia grace. it was a birthday celebration. definitely appropriate attire for such a night out. sunday is a special day around here. it's the one day that we get 100% family time. we don't run any errands. we always eat dinner together at home. and sometimes we go for walks (when the weather permits). in addition, church attendance is a regular thing. lucky for us, our church is directly across the street from our home- and so we walk. and every sunday emerson goes with me in our sling. he loves it and so do i! it makes church attendance sooooo much easier. (he's 9 months old now, so being quiet and still for all of church isn't his forte). 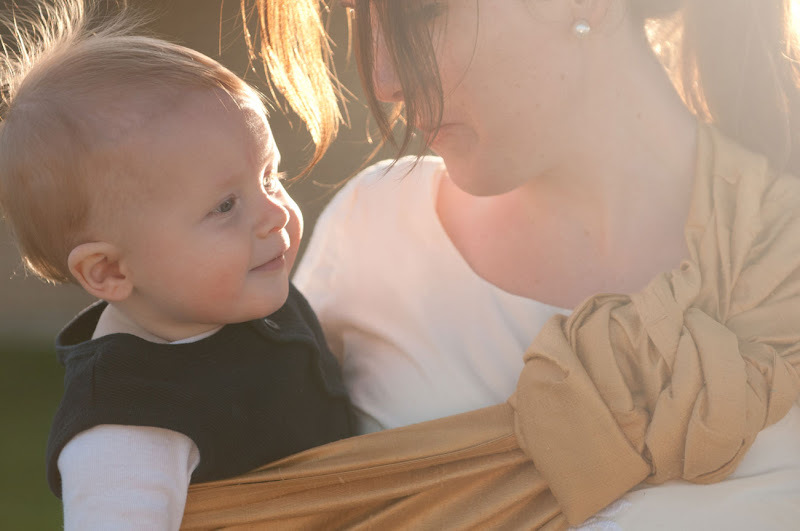 the sling calms him and makes it easier on me. i would describe my personal style as feminine and classy. i love dresses and skirts. i love short painted nails. i prefer to wear flats but want them to be as cute as they are functional. my makeup is always super minimal. it takes me all of 5 minutes to do each day and my hair... well i'm kinda lazy about it. but it works. i don't spend a whole lot of time getting ready. but i feel that it's important to be ready for the day. 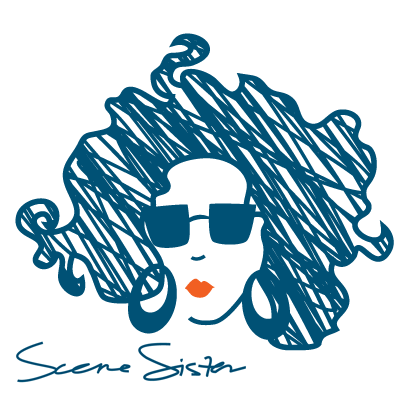 this last part of my exploration of style is all about me. i am an artist. a photographer. i love good music and love listening to it live. all of the above was available to me last friday night. 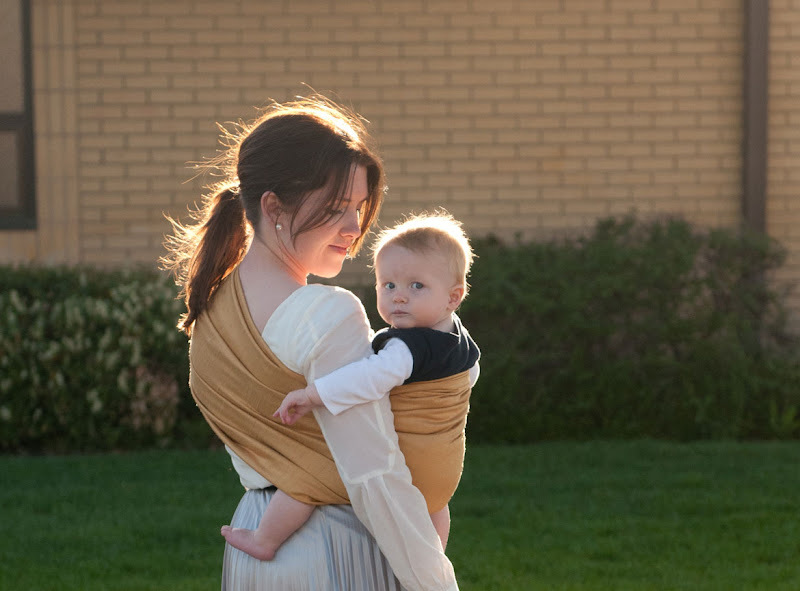 it was the most perfect opportunity to conclude this month's theme, doing what i love while wearing my baby. 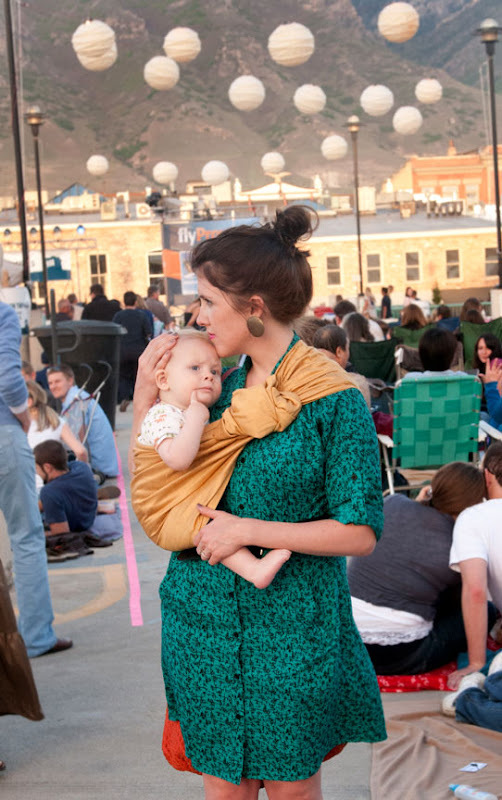 every first friday there is a gallery stroll as well as a free rooftop concert (during the summer months). this is where i was. i curated a photo exhibit for my students from this past semester and their work hung in one of the local spots for all to see. i visited with friends while listening to faith johnson, the most talented 13 year old i've ever heard perfom. my sweet little emerson loved every minute of it, right next to me. here i am with some of my students in the gallery space where our photos are hanging. my outfit here is styled by kaneischa johnson. dress: c/o kaneischa johnson, sandals: dolce vita (piperlime) thanks also to kaneischa for taking the photos! thanks for he shout out. you look soooooo good in all of these photos! 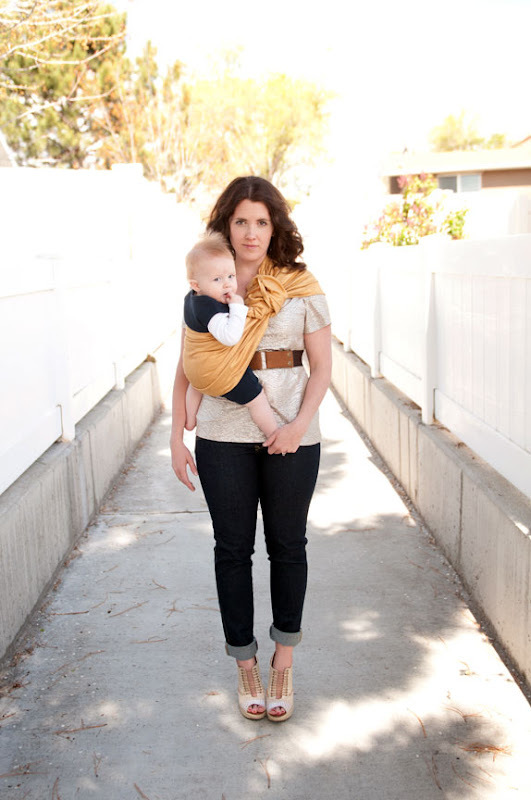 and that sling is soo cute. 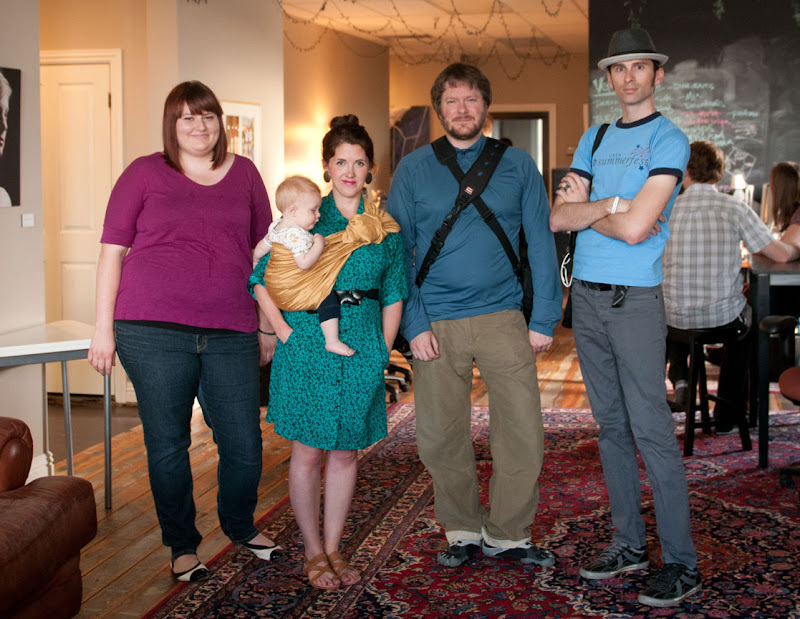 i wear my bjorn all the time, but it doesnt look as good. miss you guys tons!!! You are so photogenic. Beautiful! i love all your outfits and how you addressed so many angles of your style. you are quite the beautiful mama. Love it! Love it! 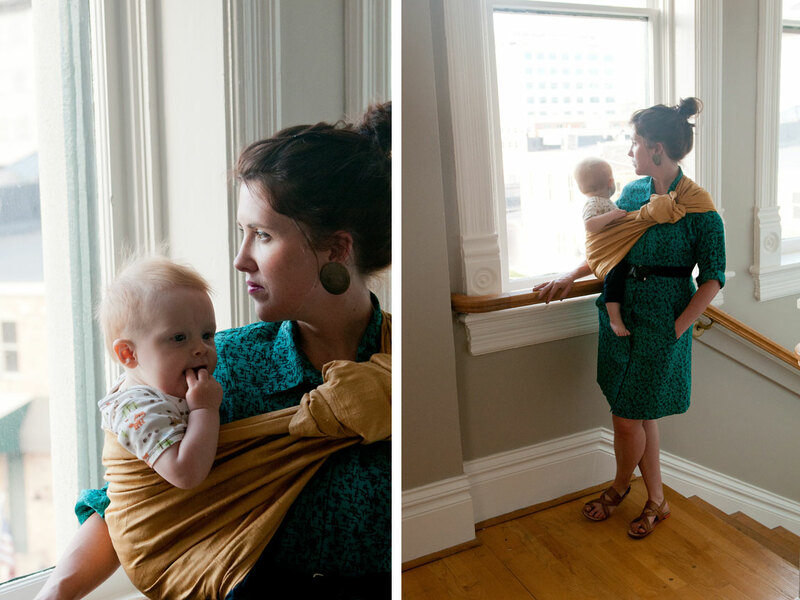 I was a huge fan of baby wearing with my first child and it has carried on to our second child. 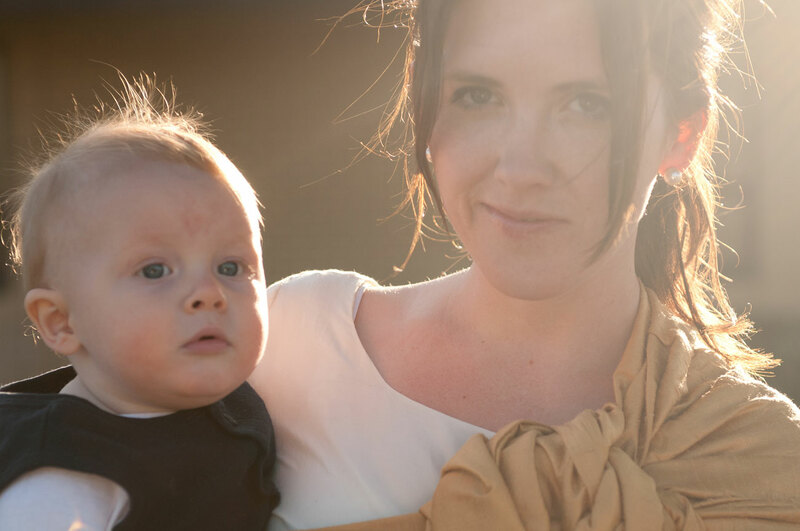 However, she is a major wiggler and actually does not love to be worn as much as our first baby. SO SAD! Fantastic photo series. So exciting to see all the different styles. Oh the glamour! I love all of it. 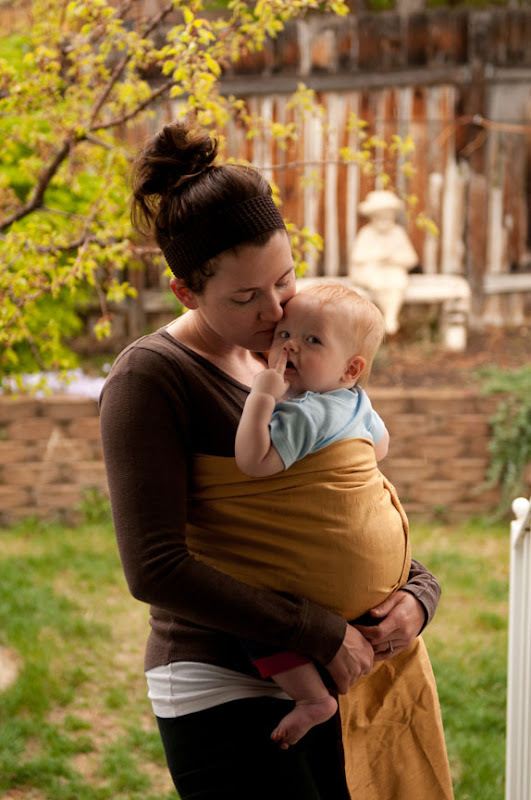 I really am going to buy a baby sling when I have my next child. You look so lovely in all of these!!! OMGOSH YOU ARE SOOOO FREAKING ADORABLE WITH LITTLE E!!!!!! Ahhhhh I love this post!! So fabulous. So talented. thank you thank you ladies for your super nice comments!!! :) i love wearing my baby for sure! love your style. what a great inspiration for a photo series.